MISSISSAUGA, ON – Speaking to members of the business community, residents and local dignitaries, Peel Regional Police Chief Jennifer Evans highlighted how police and the public can work together to prevent crime in her remarks at Safe City Mississauga’s annual justice luncheon on April 7th, 2017 at the Mississauga Grand Banquet Hall. Specifically, Chief Evans emphasized the importance of working with the community through agencies like Safe City Mississauga. Held for the first time in 2011, the Justice Luncheon is a partnership between Safe City Mississauga and the Peel Regional Police to provide an inside look at the successes and challenges of policing in Peel. Attendees included Members of Parliament, city councilors, police officers, regional staff, business representatives, representatives from non-government organizations and local residents. 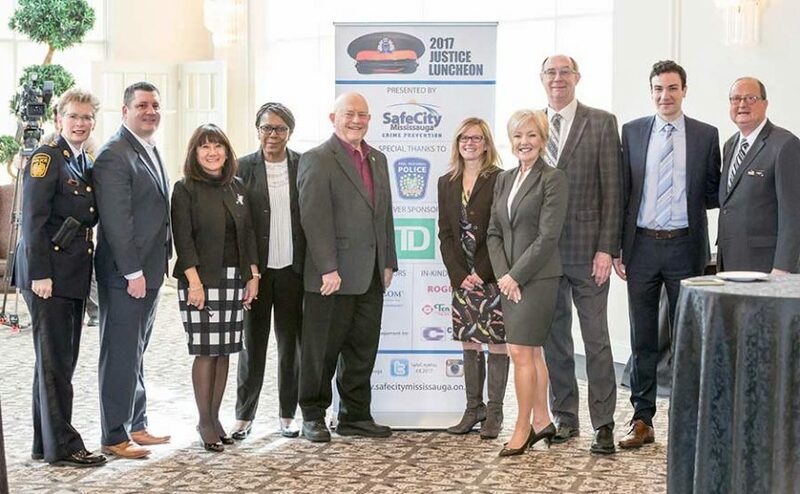 The Justice Luncheon is Safe City Mississauga’s annual fundraiser. All proceeds from the event support Safe City Mississauga’s current year initiatives such as after-school programs, school services, Neighborhood Watch, anti-graffiti toolkits, and awareness campaigns.